I competed in the Green Building Challenge as part of this year’s Bad Ideas Weekend. 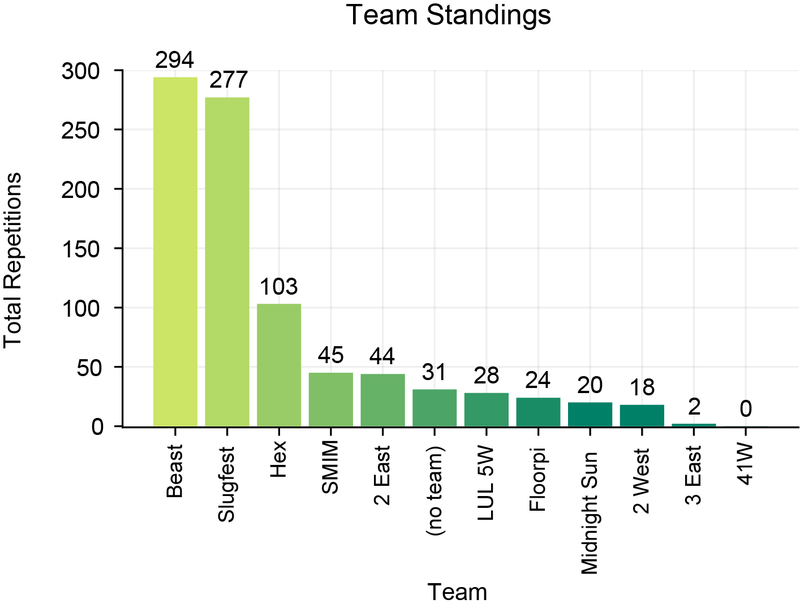 From 9 PM to 1 AM, a total of 86 students representing 11 teams competed to see who could climb up the 18-story Green Building the greatest number of times. My team, comprised of nine students from Hex (MacGregor House’s H-Entry) ended up placing third, with a total of 103 climbs! I climbed the Green Building a total of 22 times, alongside my teammates Daniel A. ’21 and Antonio B. ’22. 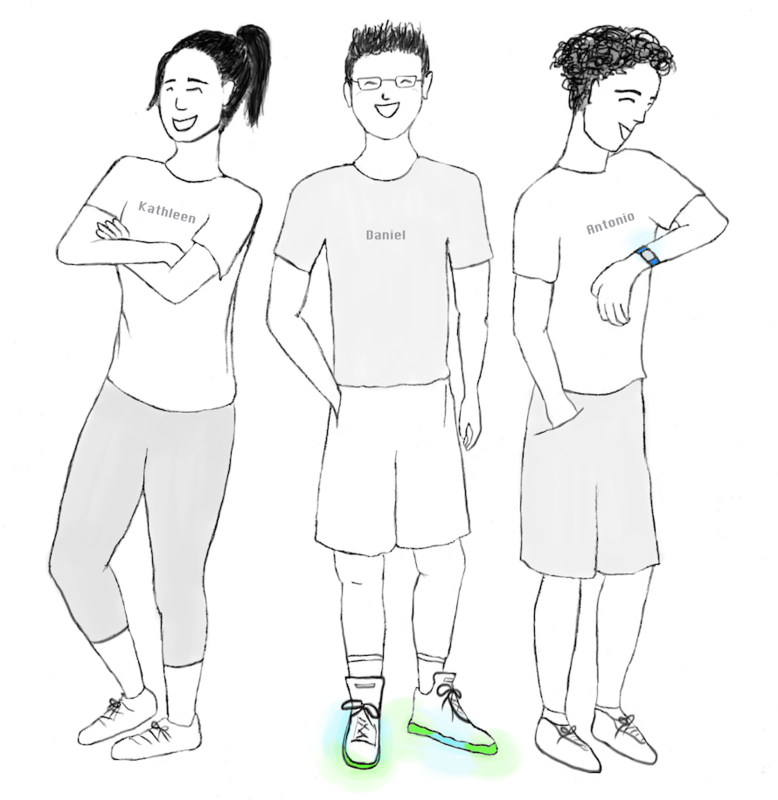 Daniel wore light-up shoes, which ran out of battery mid-competition. Antonio wore a Garmin watch, which he used to record his heart rate for all 22 climbs. Antonio’s heart rate data reflected our 22 climbs incredibly well. The process for each climb was simple: start in the basement, climb to the 18th floor, take the elevator back to the basement. 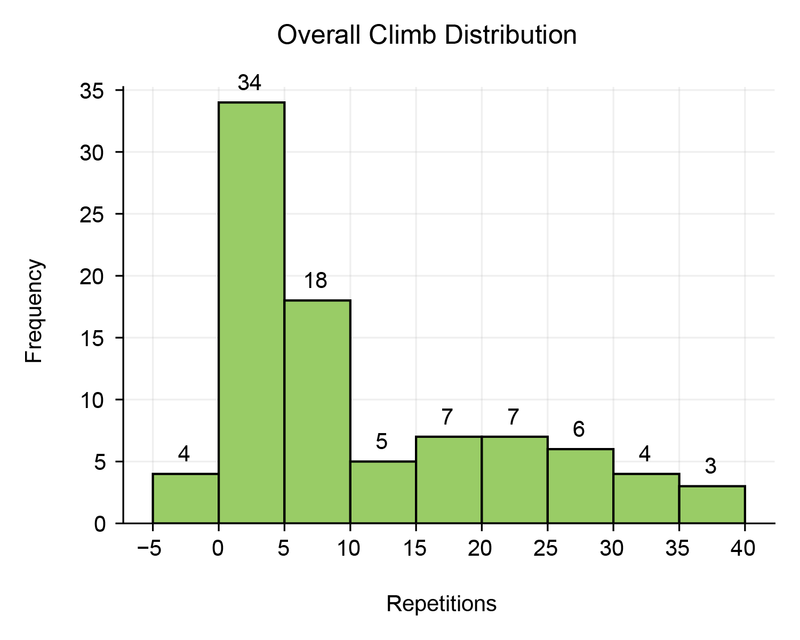 The 22 rise-and-fall sequences in Antonio’s heart rate data corresponded exactly to how we structured each rep. After each strenuous climb, we spent a few minutes on the 18th floor, where we first made sure to record our climb on the team scoresheet. We then took our pick of the water, Gatorade, and snacks available to competitors before taking the elevator back down to the basement. These few minutes of rest allowed Antonio’s heart rate to decrease significantly, creating a consistent rise-and-fall pattern. The data even reflected our breaks. After our first few repetitions, we got tired and decided to take two breaks each climb – first on the 7th floor and again on the 13th floor. On the graph, there are several climbs where the Antonio’s heart rate dips twice, reflecting these two breaks. Take a look at climbs 9 and 13, for example. For some reason I still don’t understand, we decided to do a “no breaks” climb every 10 climbs. Sure enough, Antonio’s heart rate on climbs 10 and 20 shows a smoother increase than the other climbs where we did take breaks. These climbs are take less time relative to those preceding them. The 86 people who took on this year’s Green Building Challenge implemented a diverse variety of strategies in their quests for victory. Individual climb totals ranged from an impressive 37 climbs to a hilarious -4 climbs. Negative repetitions happened when people took the elevator up to the 18th floor, and then took the stairs back down to the basement. 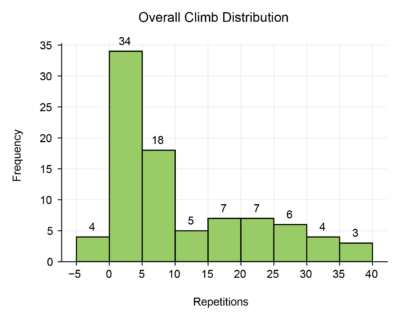 I represented the distribution with a histogram, shown below. In the end, teams Beast and Slugfest battled for first, beating the other nine teams by a huge margin. In last place, team 41W accomplished a net of zero by accumulating a few normal reps and cancelling them out with an equal number of negative ones. 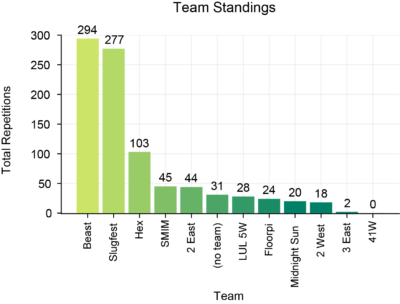 The majority of the teams consisted of East Campus residents belonging to a specific floor, such as Beast, Slugfest, 2 East, etc. To my knowledge, this is Hex’s first year competing – but we certainly didn’t have rookie numbers! I think we did a good job representing West Campus. 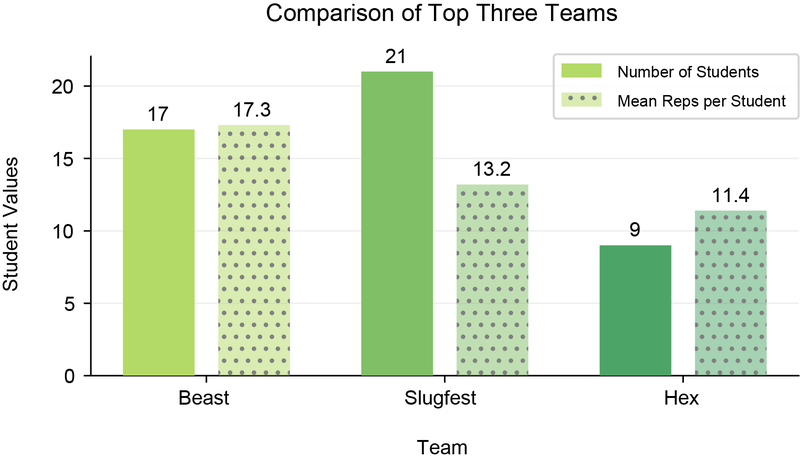 I wanted to look more closely at Beast and Slugfest, especially in comparison to Hex, to strategize for next year’s challenge. Both teams had almost double the number of team members than us, so I’ll definitely be recruiting more people. Interestingly, our mean repetitions per student (11.4) was not too much lower than Slugfest’s (13.2). Based on my experience completing 22 reps, I think Hex might be able to surpass Beast’s impressive mean of 17.3 reps per student with enough training. I also compared the general distribution of the three teams. While Slugfest had more people doing low reps than Beast, these gains were erased by the 2 people on Beast who completed 35 or more reps. Based on this, for next year’s Hex team, I’ll be focusing my energy on recruiting people willing to do higher reps. Of course, one rep is better than none. I’m happy to have had the support of all my team members, whether they did one climb or 22. The Green Building Challenge was definitely a Bad Idea. I had a tremendous amount of fun and found it to be a great bonding experience with my teammates! Most importantly, it made for some Good Data. You can find all my code and data for the graphs in this post here. Thank you to Shuli J. 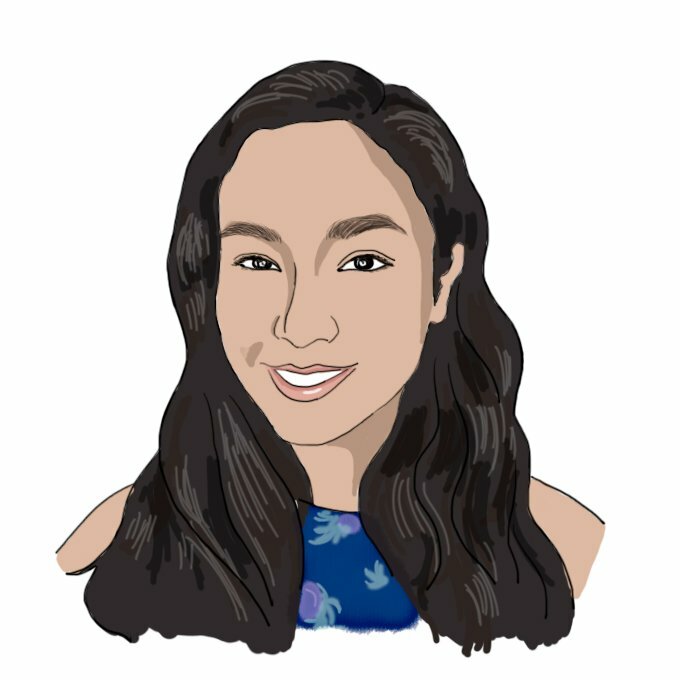 ’22 for the overall challenge data! The Green Building (also known as Building 54) is the tallest building in Cambridge. 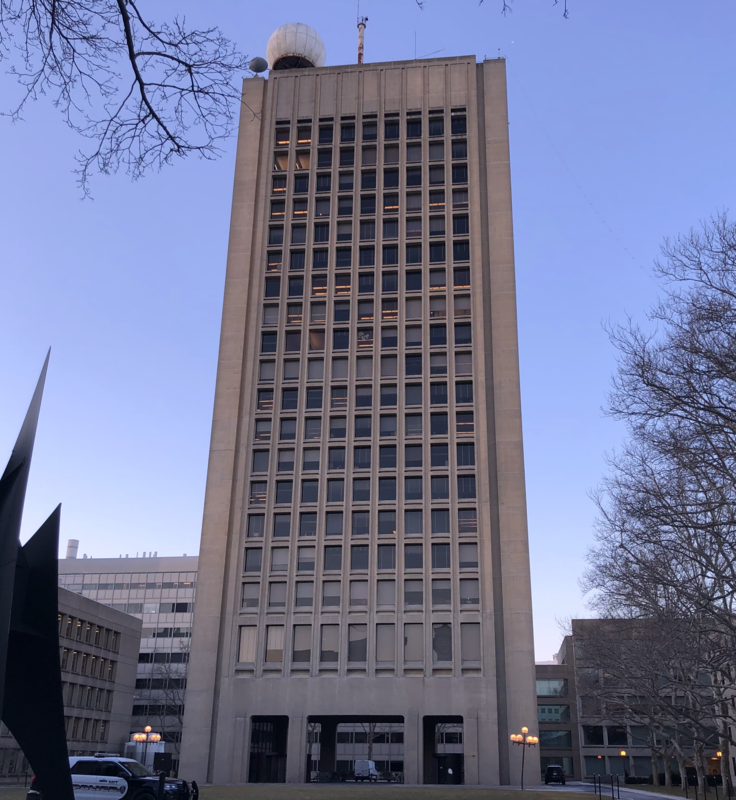 When it was built in 1964, the city of Cambridge dictated that no building should have more than 18 stories. The brilliant architect I. M. Pei (a graduate of MIT!) evaded the city’s limit by designing the tower to rest on several stilts. The images on Google Earth highlight how much it towers over the rest of the Cambridge skyline.  The legal loophole proved to be useful to the Department of Earth, Atmospheric, and Planetary Sciences, which uses special meteorological and radio communications equipment situated on the Green Building’s roof. The many windows were also perfect for a hack – playing Tetris!